The Tevatron is a circular particle accelerator in the United States, at the Fermi National Accelerator Laboratory (also known as Fermilab), just east of Batavia, Illinois. 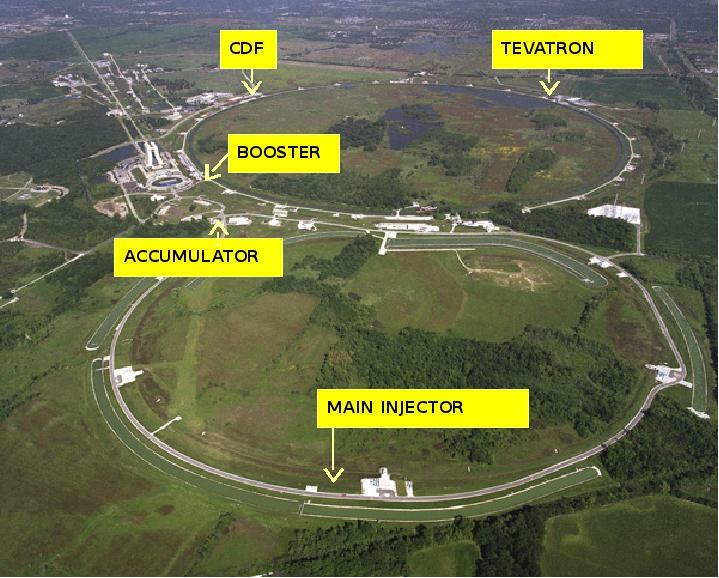 The 6.86 km circumference ring contains two detectors: CDF for Collider Detector at Fermilab and DZero. In 1995 CDF and DZero experiments announced discovery of the top quark. The Tevatron ceased operations on 30 September 2011, due to budget cuts and because of the completion of the LHC, which began operations in early 2010 and was more powerful. All data migrated to T10k technology (2 ½ years). Data integrity checks: After each copy during migration; Periodic reads from each tape. Long term future preservation of CDF data at INFN-CNAF, developed in collaboration with CDF and FNAL SCD. Two copies of raw data at FNAL, in different locations. In case of damage/loss analysis ntuples can be reproduced and/or eventually recovered from CNAF. All online webpages and code archived, still accessible from CDF webpages. Goal: Complete analysis capability (DPHEP “level 4”) through Nov 2020 (SL6 EOL) and beyond.